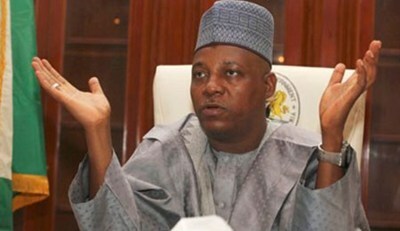 Chairman, Northern States Governors’ Forum (NSGF) and Governor of Borno State, Alhaji Kasham Ibrahim Shettima has confidently reaffirmed President Muhammadu Buhari’s position that Boko Haram insurgents have been degraded. Gov. Shettima, who reiterated this in Kaduna during his welcome remarks at the Forum’s periodical meeting, held at Hassan Usman Katsina House, Kawo, Kaduna, however agreed that there are still pocket of bombings in the North-east which has been ravaged by the insurgency for more than five years. With this development, the Governor is calling for the rebuilt of destroyed communities as well as total rehabilitation of affected persons who are currently seeking refuge at different camps across the country. As someone who was in the midst of the hit, Shettima said, “in respect of the insurgency in the North-east, I can confidently confirm that the insurgency has been irredeemably halted and the insurgents themselves completely subdued. “What remains now are few isolated pockets of suicide bombings which the recalcitrant remnants of the insurgents use as a last resort to attract attention and create unnecessary panic among the general population,” he stressed. The Forum’s Chairman further added that the meeting will access progress made by some committees set up in their September 2015 meeting with responsibility of coming up with workable recommendations. “In the North West and North Central, the security situation is alarming as the issues of cattle rustling, kidnapping, banditry and the persistent conflict between farmers and cattle rearers are gradually assuming unacceptable proportions. “It has therefore become a strategic imperative for us to take a hard look at these formidable challenges and work out strategies on the most effective ways of not only reversing the trend but also overcoming them once and for all. Whatever resolutions we can come up with would be communicated to the appropriate authorities for obvious analytical examination and possible implementation,” he added.